George Smith admits he has a "massive" challenge on his hands as he prepares for the English Premiership season with new side Bristol after nearly two decades at the top of the game. The 38-year-old back-row forward, a member of the Australian side that lost the 2003 World Cup final to England, believes his new team can hold their own among the elite after winning promotion last season. Smith, who played a season with Wasps and was complimented on his mentoring skills with the younger players, says he would not have accepted the offer from Bristol if he felt he could no longer contribute at the top level. "It is not me prolonging my career, it is just me accepting new challenges and this, the Premiership, is a massive one," he told AFP at the Premiership launch at Twickenham this week. "I can't avoid the fact I am 38, the wrinkles tell that story. But it is an exciting time to be part of a newly promoted team with new players coming in and learning fresh ideas from the coaches. "It (the Premiership) is such a demanding competition but we have a lot of belief in the squad and we have worked extremely hard pre-season on both our physical and mental states." Smith, who won 111 Test caps, said the chance to work with Bristol's head coach Pat Lam had been a crucial factor in signing up. 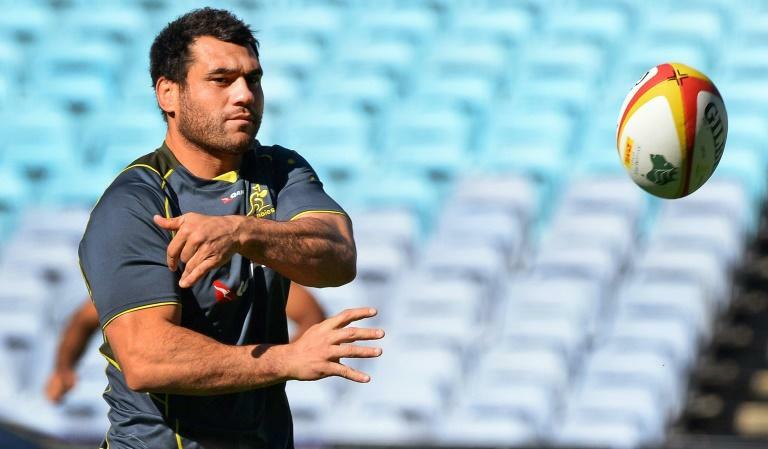 "I respect how Pat Lam has done things," said Smith of the former Samoa international. "He turned (Irish province) Connacht from being a good team into a great team, winning the Pro12 (in 2016), which was a fantastic achievement. He has history as a coach and I wanted to be part of that." Smith is especially excited to be playing with former All Black Charles Piutau. The 26-year-old -- who Smith knows well from their Wasps days in 2015-16 -- is the marquee signing financed by locally born billionaire Steve Lansdown's money although others such as former Ireland fly-half Ian Madigan also bring a touch of experience and class to the squad. "Charles is an enormous talent which I witnessed a few years ago with Wasps," said Smith, whose Bristol side launch their Premiership campaign against local rivals Bath on August 31. "He is an enormous positive for world rugby. He has such an array of skills and he has no ego about him. That is what I love about him -- he is a humble guy and gets on with it. "Add the likes of Ian Madigan, young lock Joe Joyce and centre Piers O'Connor and we have a team of players that complement each other. "It is easy to say that at the start of a season without any games played but I believe we have a very good side." Smith, who remarks how his dreadlocks have been replaced by "white hairs", says he does not have a specific moment he has enjoyed above all others during his long career. He prefers to categorise his career in blocks, including his time with the Wallabies from 2000 to 2009 (he returned to play a single match in 2013) and his time spent abroad. As for how he would like to be remembered, he keeps it simple. "I would like to think that when I do retire I will be remembered as someone who brought joy to the people and fans and earned the respect of his rivals."